Hoben International Limited was founded in the late 1960's as Hoben Quarries Limited occupying 40 acres, midway between Ashbourne and Matlock in the heart of Derbyshire. The ceramic, glass and refractory industries benefit from the special sands, flours, high grade bauxite and siliceous mixes processed on site which are supplied to a wide range of industrial and civil engineering applications. Hoben International are the world's leading manufacturer of Foundry Plaster which is a gypsum bonded investment formulated for casting Non Ferrous Metals. Foundry Plaster is used in the Rubber Plaster Mould (RPM) process which utilises a reclaimable pattern of silicone rubber. We are able to process imported and domestic raw materials through our crushing and screening plants or through the continuous Alumina lined ball mills to precise and exacting standards for a wide range of applications. Real-time in-line monitoring, using state of the art in-line particle analysers continuously adjusts the classifiers to produce optimum product quality. Materials are delivered to customers in bags, bulk bags and bulk tankers. Contract processing of more specialised raw materials, often having difficult and unusual characteristics and often requiring dedicated plant, is an increasing requirement. We offer a complete service to meet specific customer needs from our wealth of experience in processing minerals. 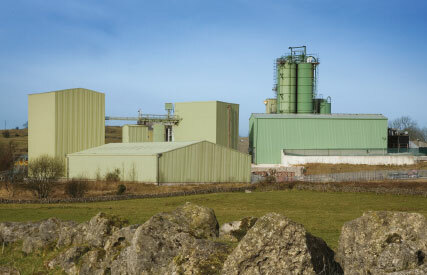 Whilst continuing to maintain it's current significant and successful place in the highly competitive minerals processing sector, the company plays an increasingly active role in servicing industry needs of improved standards, quality and reliability, providing products that meet the needs of markets that have to satisfy ever increasing environmental demands. 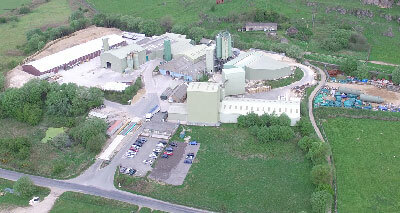 Hoben International Ltd proposes to develop a single 500kW wind turbine at their Manystones Lane site near Brassington. For more information click here to download the public information document.